At Pasadena Dental Aesthetics, Dr. Arash Azarbal recognizes that costs can be a significant concern for many patients considering dental implants. To help you make an informed decision about your oral health, we have provided a brief overview of what goes into the price of dental implants, and approximately how much you can expect to pay. The cost of your treatment plan will depend on the number of dental implants you need, the type of restoration you are having placed (individual dental implants, implant dentures, mini implants, etc. ), and the complexity of your program. Factors like insufficient bone density will play a role, as bone grafting may be necessary to achieve a successful outcome. Your safety, comfort, and results are our highest priorities, and Dr. Azarbal and his dental team will carefully review and develop your plan to ensure the best possible result. 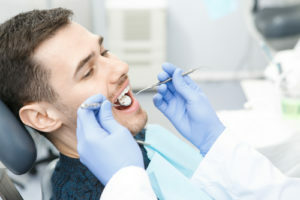 Dental implants are an investment, one that can preserve and protect your smile potentially for the rest of your life. It’s essential that you trust this treatment to someone with the experience and training necessary to provide an optimal outcome. This will minimize the risk of complications and failure, and reduce your long-term costs. Dr. Ian Woo, our implantologist and oral surgeon, has completed extensive training in implantology and completes continuing education courses each year to maintain the highest levels of care. Dr. Azarbal and Dr. Woo attended dental school together, and they continue to work side-by-side at the practice to provide the optimal outcome under one roof. Each dental implant can cost $1,500 – $4,000 depending on your needs, goals, and individual specifications. We will review the price of your program with you in detail before beginning, so you can make the right decision for you. If you need financial assistance, we can help. Just ask.